Hello you lovely lot! I haven't been here for such a long time and this is because I've been really busy working on a new blog design for my blog which also has a new name. I haven't finished working on my blog yet so it's going to look a little weird for quite a while but I'm hoping it'll done before Halloween! 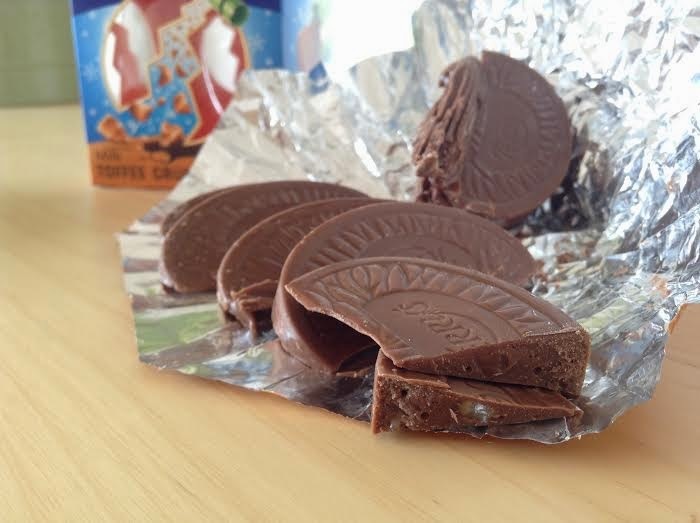 Anyways, on with the review...finally after many years, Mondelēz have decided to bring back the Terry's Chocolate Orange Toffee Crunch. It's been available in the Segsations selection for years but I'm so glad it's back in it's traditional chocolate orange format! I'm hoping that maybe next year for Christmas, Mondelēz launch miniature versions of these, just like they did with the Exploding Candy orange this year (I'll be reviewing those soon). The packaging has a pleasant design yet it's not very eye-catching on the shelf. 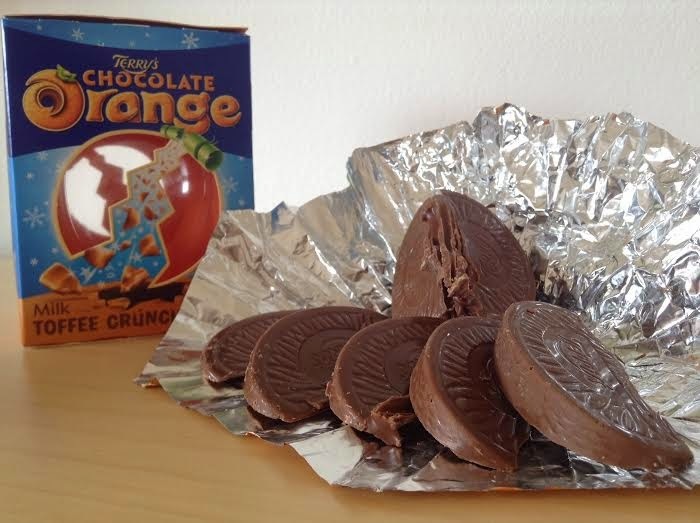 You can't distinguish between the Terry's Chocolate Oranges unless you look a little closer at the packaging and this has been a major problem for me since Kraft redesigned the packaging back in 2011. Taste-wise, this orange is very sweet compared to how I remember it but the flavour of the toffee caramel pieces has remained the same and that's rather comforting. It's a bit like a Daim chocolate orange but with a more intense toffee flavour. The chocolate seems to be quite oily and I've noticed this with all Mondelēz chocolate products but I don't know whether it's just me that thinks that? The texture is just how it used to be, the crunchiness of the toffee caramel pieces and the creaminess of the chocolate brings together two totally different textures that work so well. The texture is very similar to Cadbury Dairy Milk with Crunchie Bits and Cadbury Dairy Milk Daim, and this is another reason why I love this orange so much. 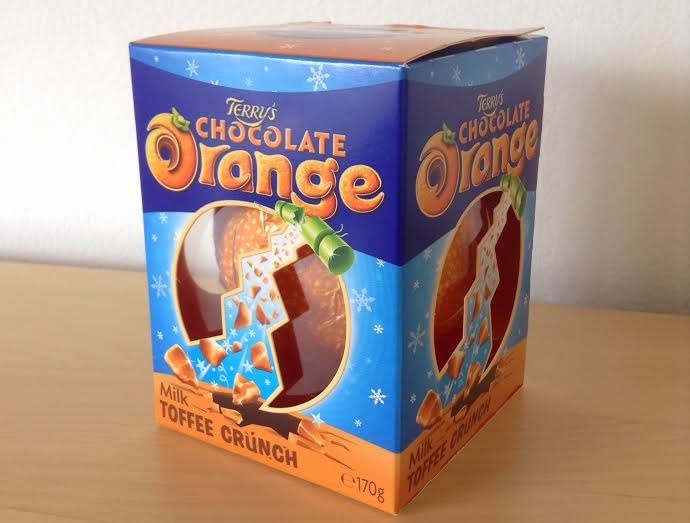 Overall, I think that the Terry's Chocolate Orange Toffee Crunch ball is potentially the best orange Terry's has ever created (in my opinion) and I'm sure many people who used to love this particular orange will be pleased to see it back on our shelves just in time for Christmas! If you like this review and you'd like to see more posts from me head over to my blog www.verywilliam.blogspot.co.uk although I will still be writing guest reviews on here every now and then!